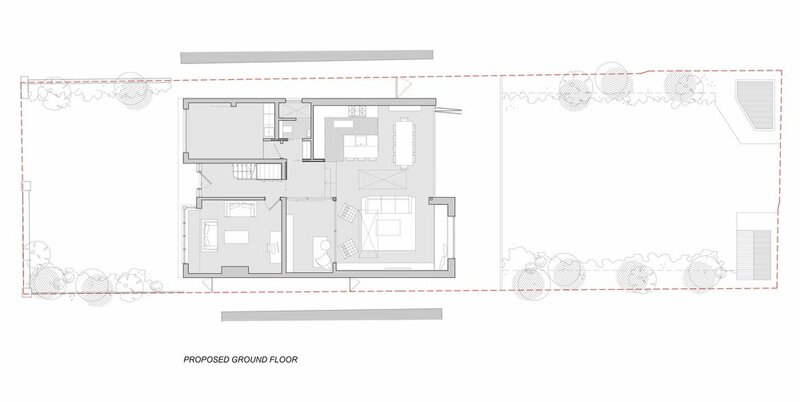 The extension and interior reconfiguration of a detached house in Addlestone, Surrey. 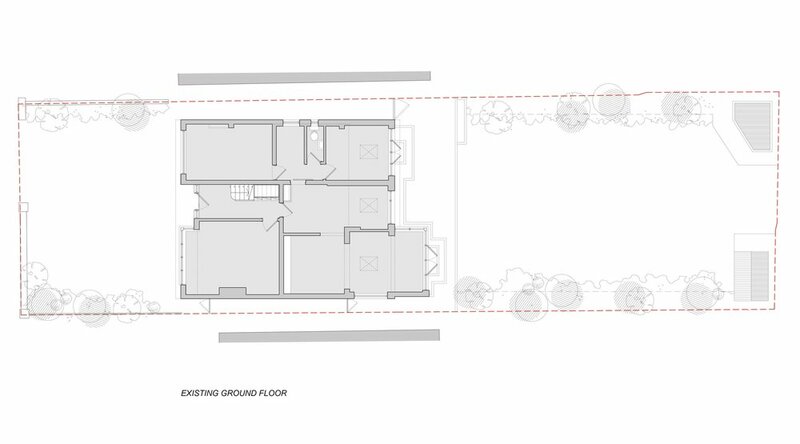 The design included creating a clear visual link from the front door though to the garden, lowering the internal floor levels to better address the garden and creating an open plan space whilst still retaining clearly defined zones. The scheme makes use of varying floor and ceiling levels, along with internal glazing to separate the internal spaces.